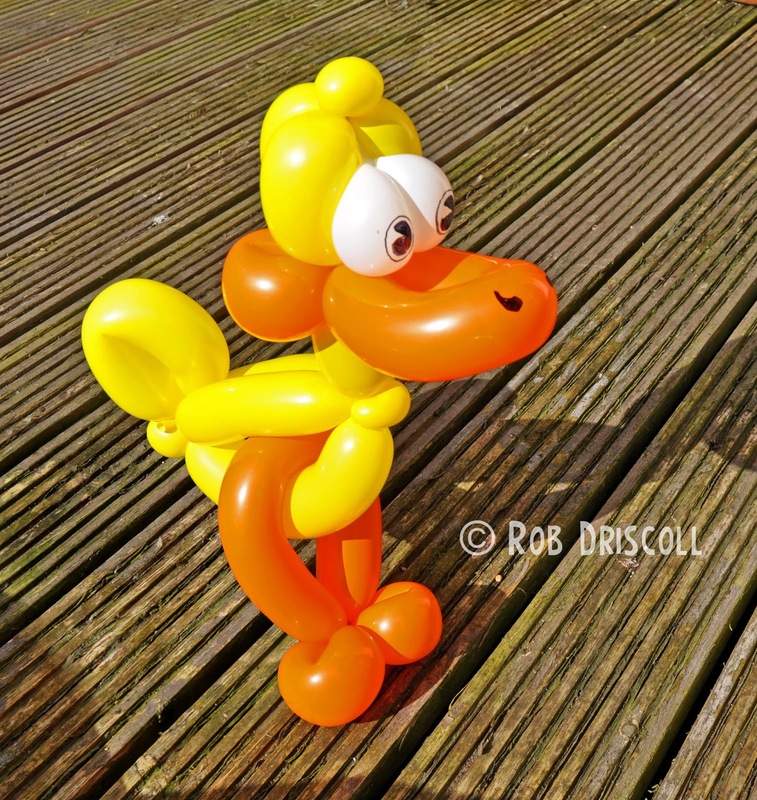 This duck is made from just 5 balloons and is pretty quick to make, its made from 3 yellow 260 balloons, 1 orange 260 and a little bit of white 260. 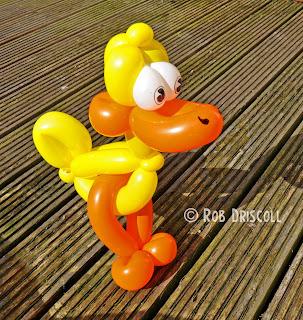 I started with the head, neck and beak then I added on the eyes, next I made the body and finally added on the legs. I have been experimenting with drawing different types of eyes recently too, instead of just a round black blob I have tried to add a bit of character.